Brazil has been one of the hardest hit countries since the natural resources boom ended. This resulted in Brazil falling into a very deep recession and foreign direct investment dropping by more than 75% from its peak. But the rules of the game changed in June, setting the stage to dramatically change investor outlook in its mining sector for a number of years ahead. This is after little changes in Brazil’s mining sector going back to 1967. These are all the hallmarks of wanting to shy away as an investor. In the short-term, we see these as only temporary, and more issues may continue to unfold because Brazil is primarily a natural resources country. Just like Canada, and Australia that are heavily influenced by the prices of oil, iron ore, and other natural resources. Brazil is no different, with iron ore, crude, soybeans, raw sugar and gold accounting for almost 30% of the country’s exports in 2016. Brazil updated its mining code that has changed little since 1967, that will positively impact investors looking to invest in the sector. What Does the New Rule Changes Open Up For Investors? Why Do the Policy Change? "The objective of the measure is to attract new investments, generating wealth for the country and employment and income for society, always based on the precepts of sustainability," the Brazil ministry said in a statement. 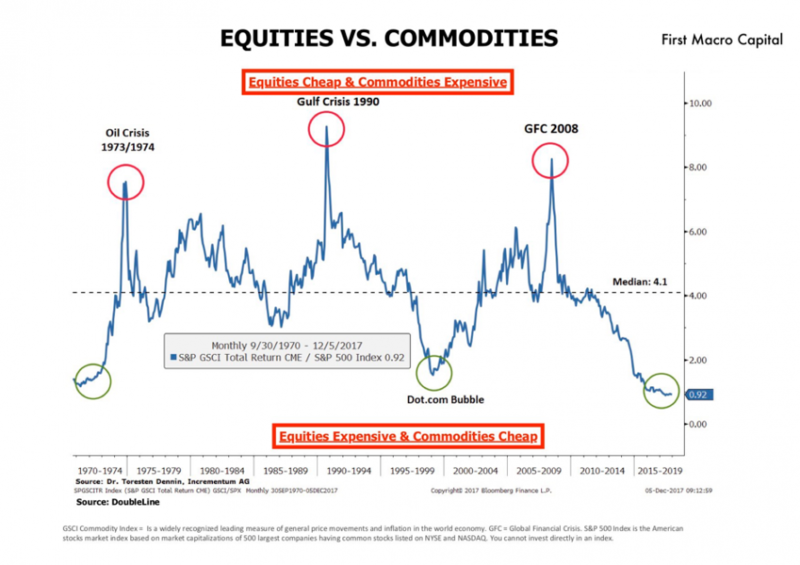 If we take into account a rotation from equities to commodities, then this is a huge positive policy change at the start of the commodities cycle. Brazil has the potential in the coming natural resource boom to be a big winner again for investors because it is setting policies in place to help the country grow again and attract investment. There are plenty of different commodities for investors to invest in Brazil. These new mining policies have a high probability of improving investor sentiment of Brazil. Government policies can pull or push away investment, and these new changes will pull in investment into Brazil, particularly as the commodity cycle unfolds. In turn, new job opportunities will open up in Brazil’s mining sector. Mobius: “In our view, in terms of the emerging markets, some of the most interesting now because of their tremendous decline in the currencies and markets, would be Brazil. In recent months there has been an increased activity of successful mining investors deploying capital into Brazil while gold price remains down. These are investors with a proven track record of creating wealth with a longer-term focus than just 3-6 months. Anglo has confirmed to Reuters it had obtained permits covering almost 1.9 million hectares to explore in the Mato Grosso and Para states but said it was too soon to make claims about the project's viability. There are a number of companies already invested in Brazil, and this new rule could entice them to further invest in the country with these new rule changes. They’ll be able to utilize their first mover advantage versus everyone else. Already registered companies, established teams, relationships, etc. Brazil is the #1 producer in niobium, 2nd largest producer of iron ore and manganese, as part of the almost 80 mineral commodities that Brazil produces. The big winners will be on gold and copper investment because there is more certainty with customers, and investors are more familiar with these commodities. Electric vehicles will create a new source of demand for copper, that no one truly knows the demand side. Policy changes can dramatically positively or negatively impact investor sentiment. We think in Brazil’s case; these new mining updates positively improve investor sentiment over the coming years ahead. Will the currency and other issues probably come up in the meantime as the natural resources boom has yet to take hold? We think there’s a high probability chance. Smart money is already deploying capital in the country, and those investors that are willing to take a multi-year view on Brazil; mining in Brazil has the potential to eclipse what it did in the last cycle because of these new policy changes. Copper and gold projects will be some of the big winners, particularly as electric vehicle demand grows. 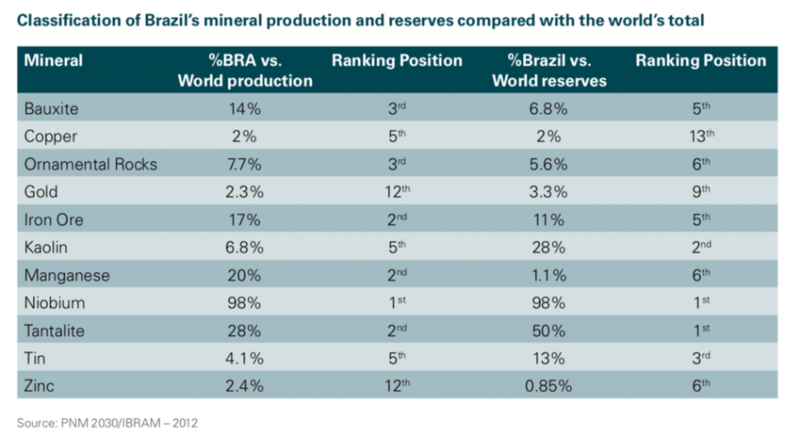 Being greedy when others are fearful, puts Brazil near the top to consider for natural resource investors and investors looking for deep value opportunities. We will be hosting a Live Webcast on Thursday, July 19, at 8:15 PM ET. Mr. Paul Farrugia (President & CEO) will be discussing an unconventional approach for gold and silver investors in the coming commodity cycle. Paul is the President & CEO of First Macro Capital. He provides a complimentary checklist to find winning gold and silver mining producer stocks, which can be used for multiple commodities.